In the United States, the expression “knocked up” is slang for pregnant; however, it had a very different meaning in 19th century Britain and Ireland. Being “knocked up” referred to being tired or to being awakened by someone knocking at your door or window. And that is exactly what the knocker-ups, also called knocker-uppers, did. As late as the 1970s, there were people whose job was to get up early in the morning and go around to the houses of paying clients and wake them up by knocking on their door or window. At first, knocker-ups would knock on their client’s door, but they soon learned that doing so often resulted in waking up the client’s neighbors as well. Not only did this generate complaints from the neighbors who didn’t want to be woken up, but it also allowed some people to take advantage of the opportunity to be awakened for free. The knocker-ups solved this problem by tapping directly on the paying client’s window, often using a long pole to reach the upper story windows. Some knocker-ups would use hammers, rattles, or pea shooters to wake their clients. One of the more well-known knocker-ups was a woman by the name of Mrs. Waters, who began the job out of necessity after her husband was injured and could no longer provide for the family. Her first client was a foundryman who offered her half a crown per week for waking him up at three a.m. each morning. She accepted his offer and went on to build a clientele of thirty customers in the first year and eighty by the end of the fifth year. She eventually grew her clientele to ninety-five customers. Other well-known knocker-ups were Caroline Jane Cousins, also known as Granny Cousins, Mrs. Bowers, and a mother and daughter both of whom were named Mary Smith. 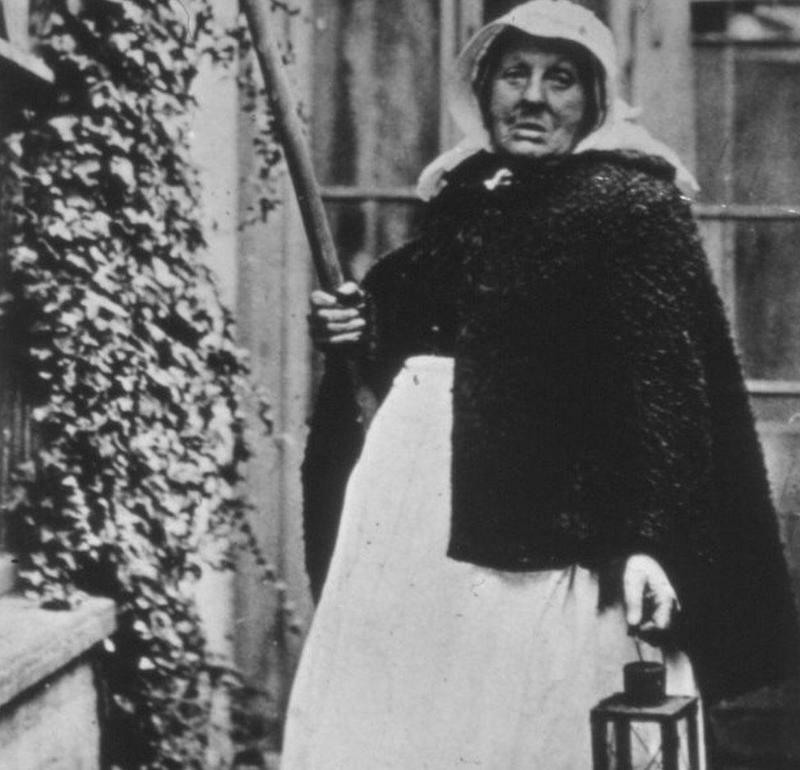 Granny Cousins was born in 1841 in Dorset and worked as a knocker-up for brewery workers until her retirement in 1918. 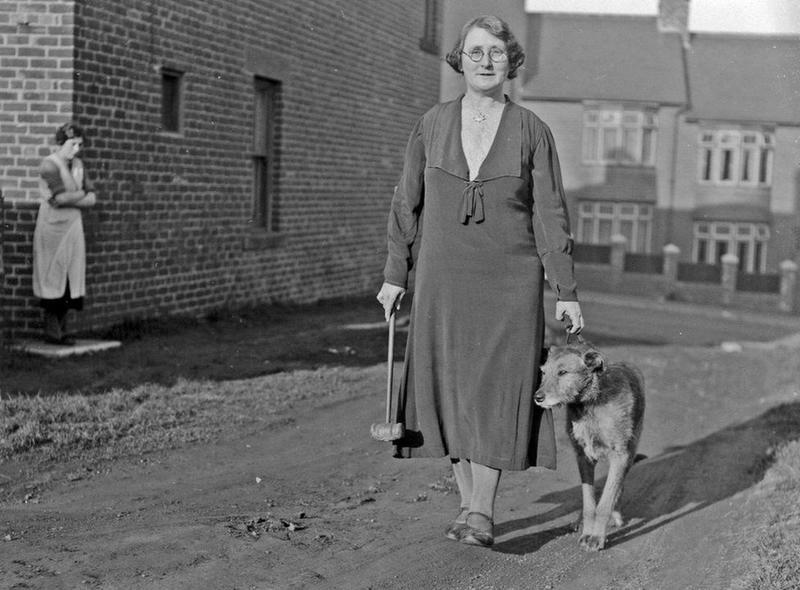 Mrs. Bowers was a knocker-up from Sacriston, County Durham, England, who began her career during World War One and was known for bringing her dog along as she woke her clients. 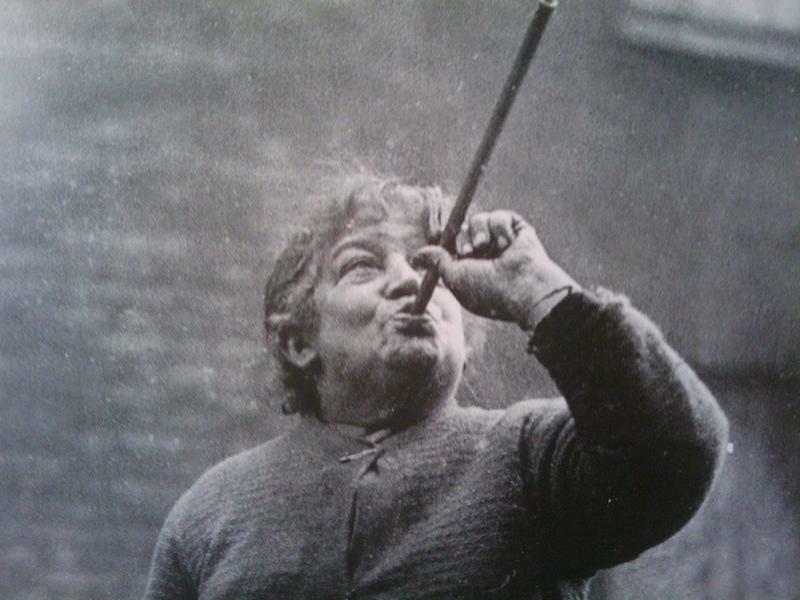 Mary Smith (the elder) was known for using a pea shooter to wake her clients and her daughter, the younger Mary Smith, was one of London’s last knocker-ups. Another challenge faced by knocker-ups was keeping track of the clients’ addresses and the times they needed to be knocked up. 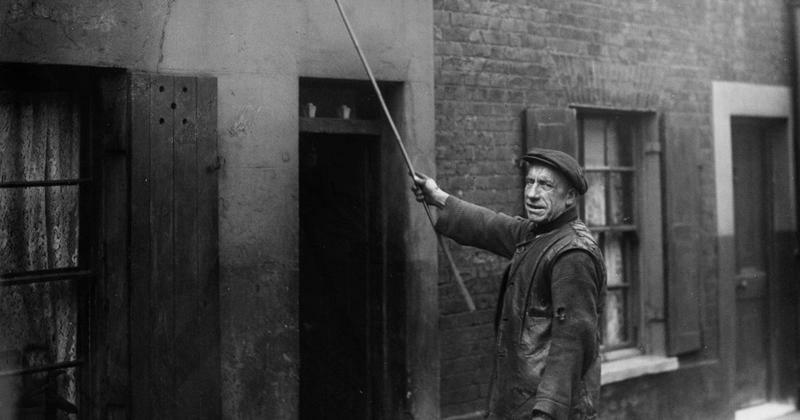 Some knocker-ups would use chalk to mark the time outside each client’s house. Others placed signboards outside each client’s house which not only indicated what time that client needed to be awakened but also advertised the knocker-ups business. Other challenges included getting their customers in a small geographical circle to eliminate excess, and therefore time-wasting, walking. To solve this dilemma, knocker-ups would often trade clients with others in the business. Other challenges they faced included upset neighbors who expressed resent at being awakened, often throwing things at the knocker-ups and clients who were not morning people and therefore grumpy at being awakened even though they were the ones paying for the service. They also occasionally dealt with customers who failed to pay on time; however, that behavior was usually discouraged by threatening to not wake them up on time if they didn’t meet their obligation. 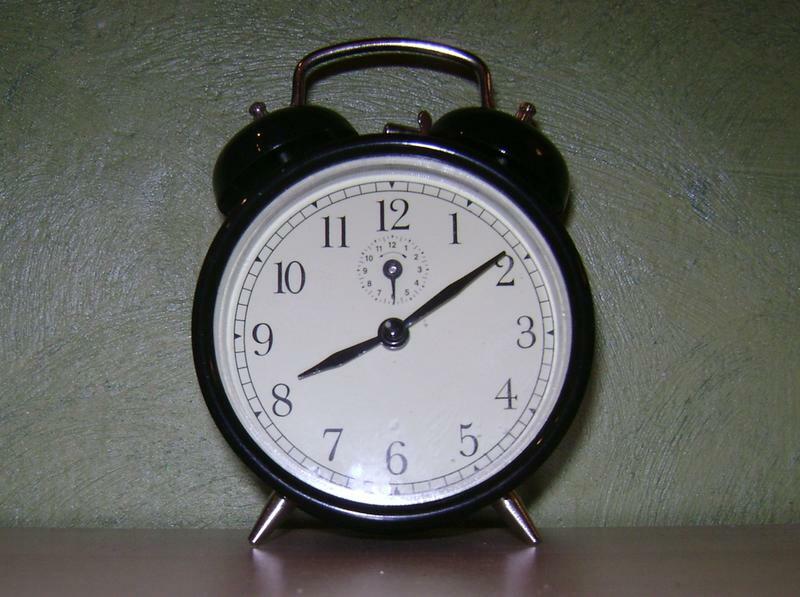 While many believed knocker-ups to be more effective than alarm clocks, which someone could easily just turn off and go back to sleep, the profession began to die out during the 1940s and 1950s as electricity became more widespread and alarms clocks more affordable. A few hung on until the 1970s, but now the knocker-up is just a distant memory kept alive in folk songs and briefly mentioned in Charles Dickens’s famous novel, Great Expectations. I've got a knocker up...it's the FN cell phone that wakes me up with a freaking robot calling me..... I have to turn off the phone at night or face the wrath of a robot call in the morning.